sundaynightstats, originally uploaded by Kadath. 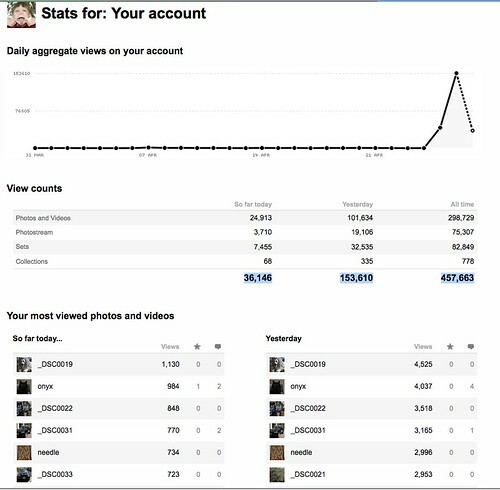 Thanks to making the front page of Engadget and Gizmodo I had over 150,000 Flickr Views Yesterday alone. Through Friday I had just over 200k LIFETIME. Should be interesting to see what happens Monday morning when people catch up on those sites updates from the weekend. Still getting tons of hits from NikonRumors.com too!